The word of God is full of adventure, excitement and surprises. Look out for spies on a roof in Jericho and watch out for a Fiery Furnace in Babylon. There's a young boy who has killed a giant, and a little girl who has helped a brave soldier. There are lions, doves and a great big fish. One man and his family have to fit lots and lots of animals into a boat - but they have to make the boat first. The Bible is just full of wonderful stories like these. And then there's the amazing story about God's son, Jesus, who was born in a stable, who died on the cross for our sins - and then he came back to life! Read all these wonderful stories and more in this special collection for children. Extra Features: God is and Jesus is sections that explain about the character and person of God and Jesus Christ. Read by myself lines: Short sentences to back up the full-colour illustrations. Ideal for the new and developing reader to attempt on their own. Reading tips: Advice for adults on how to develop a joy of reading God's word with their child. 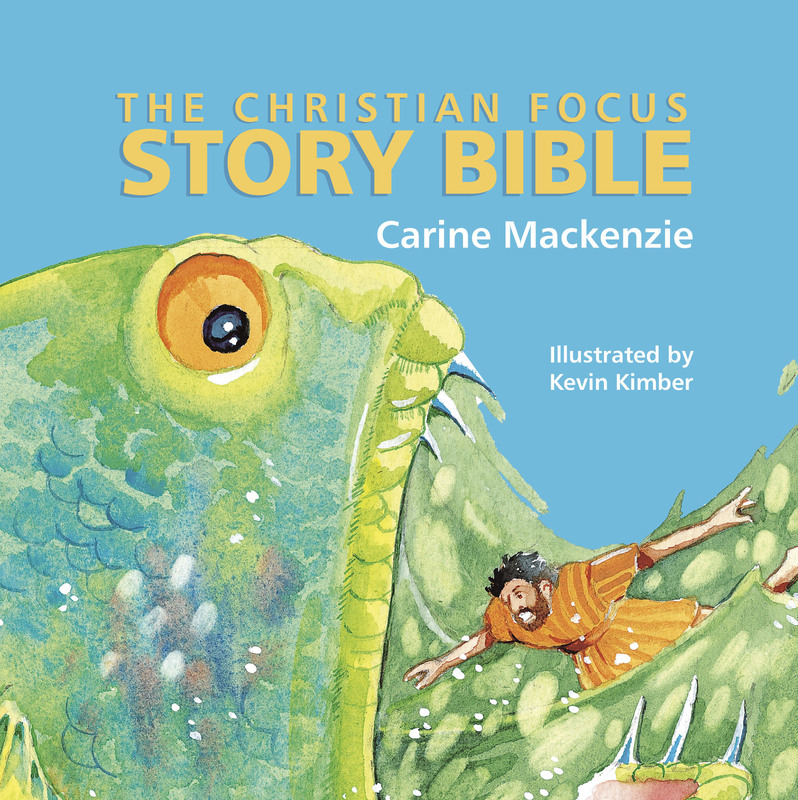 Carine MacKenzie's talent for retelling Bible stories has meant that children from all over the world have been given the opportunity to discover Jesus Christ for themselves. Carine's 150th book 365 Great Bible Stories was released in July 2011. She has sales of several million books and lives in Inverness, Scotland. The Christian Focus Story Bible by Carine Mackenzie was published by Christian Focus Publications in July 2009 and is our 16858th best seller. The ISBN for The Christian Focus Story Bible is 9781845504946. Be the first to review The Christian Focus Story Bible! Got a question? No problem! Just click here to ask us about The Christian Focus Story Bible.